Each user adjusts the necessary buttons and their sequence by oneself, which makes the new function flexible and customizable for any requirements. Let's take a closer look at all the available actions of the new functionality and how to configure them correctly. 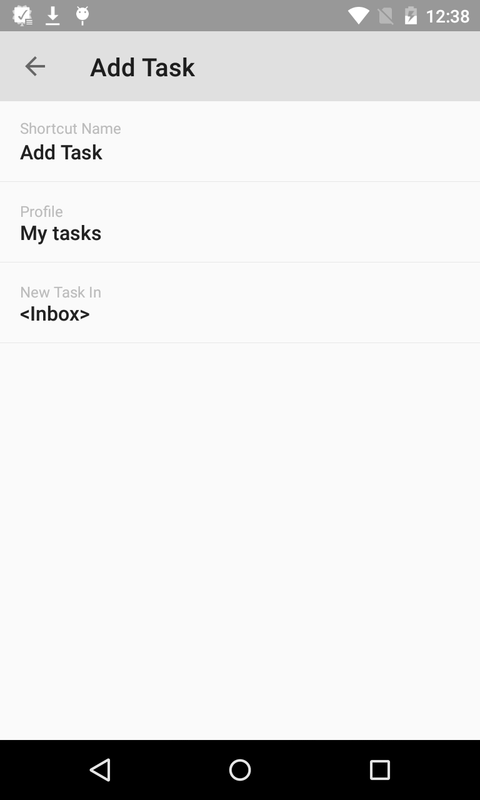 Add incoming information in 4 ways: add task, add task with reminder, add task by voice, add task by voice with parsing. View any MLO view of any profile available on your mobile device. Set search for required information. You can use the same type of available actions as many times as necessary. The maximum number of actions from the notification area is ten. Go to the MLO settings: General settings -> Actions in the notification area. Enable “Use actions in the notification area” (disabled by default). After that, the MyLifeOrganized logo icon will appear in the notification area. In the proposed options, click the plus sign next to the available actions – the function settings menu will open. After you exit to the main menu, your action bar from the notification area appears at the top of the screen. This allows you to assess how the widget will look, what you should add, remove or move, directly in the settings. Now more about each function. The function can be used for the standard parsing of incoming information to the <Inbox> folder. Or, for example, you can name the button “Shopping” and set it to add tasks immediately to the “Shopping” folder. At the same time, new tasks can, depending on the settings set, inherit the context of the parent folder. In addition to the basic options described above you can find an option to add the reminder time to the start or the due date of the task. Suppose you have made an appointment and immediately set a task with a reminder and the start/due date, which is added to the specified folder inheriting its context (if the “Inherit context” function is on). Use this option if you prefer to dictate instead of typing the text by hand. As if you constantly have the personal secretary with you who records all your instructions. In the function “Add task by voice” the same basic settings are available. This function is like a personal secretary of the “highest level”! 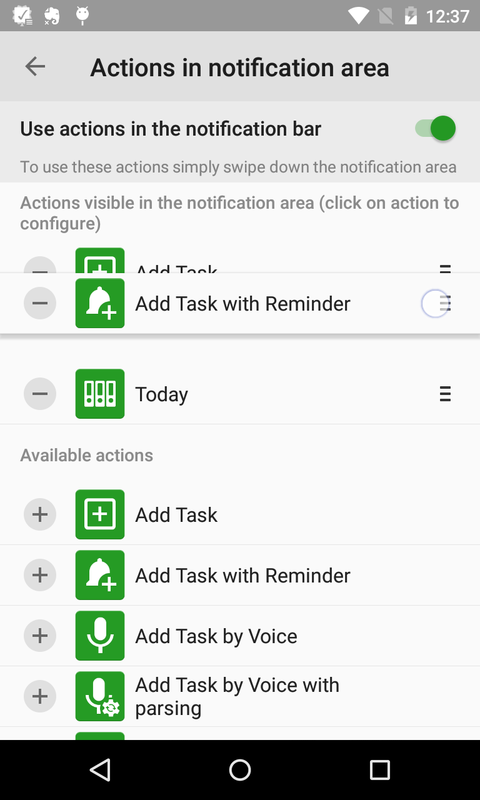 The same settings and properties as “Add task by voice”, but with the recognition of dates, times, contexts, priorities and more. This approach is useful when adding routine tasks, where it is desirable to immediately specify the context, due date or other properties. For example, you have dropped off your laptop for repair and the service center told you to come after it in 3 days. One click and the task is parsed with the context, dates and reminder set. Allows you to get quick access to any active view of any of your profile. ● If necessary, you can add zoom to a specific folder, project or goal. 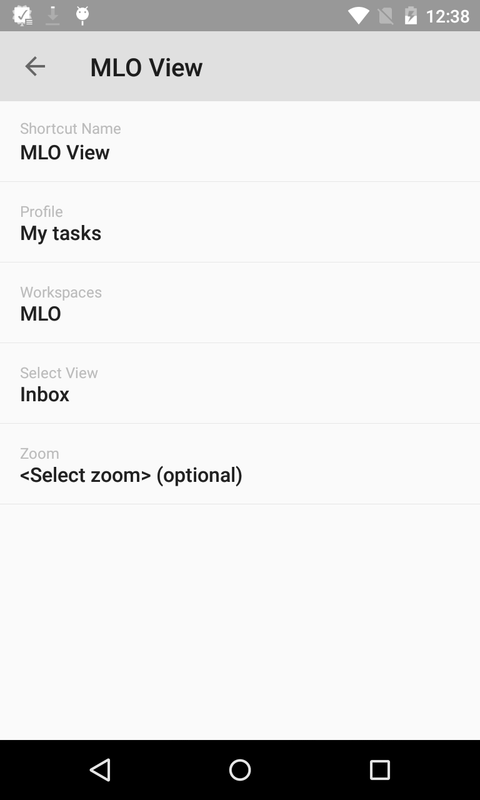 Example: Configure the “MLO View” button with the “Today” view showing only the tasks that are in the “Work” folder. 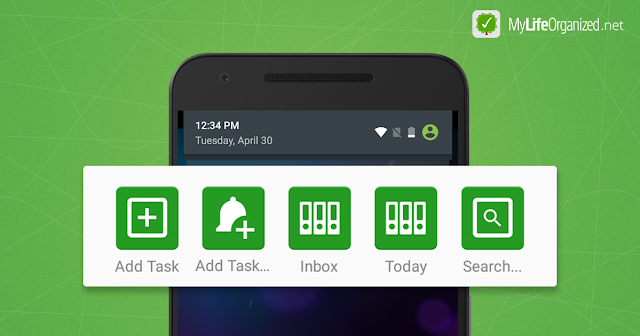 Just a single touch – and the list of work tasks for today is in front of you! There is no need to go through the entire task tree in order to search for the necessary task or information. Use the search function and MyLifeOrganized will find you everything. 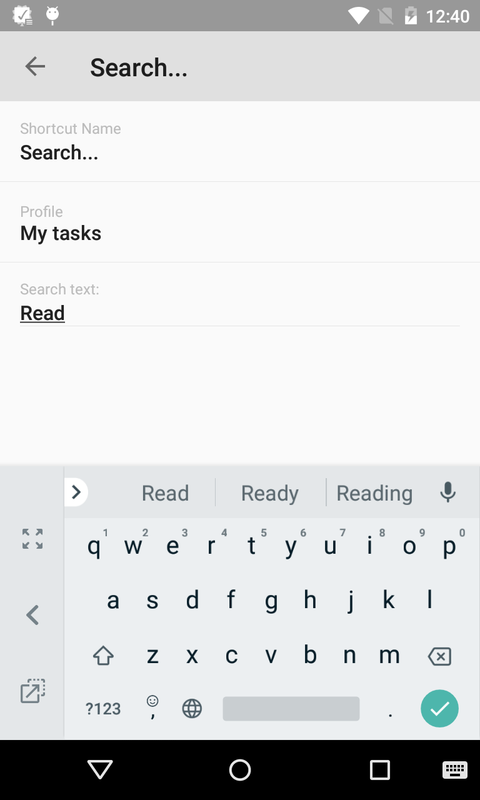 For example, you can set up a quick search for all materials for reading (articles, books) by specifying in the search bar to find words with the word “Read”. 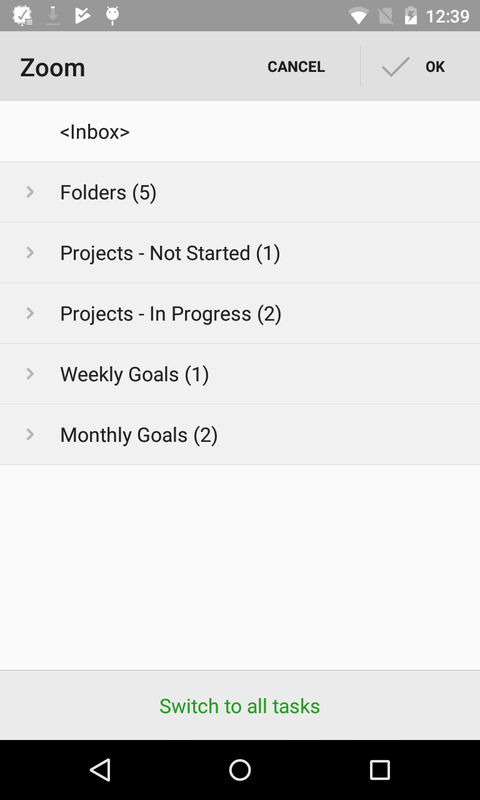 Using actions from the notification area significantly expands the functionality of the mobile version of MyLifeOrganized. No matter what Android screen you are on at the moment, you get instant access to the necessary views, to searching and adding incoming information. Try yourself! How can I change the language for "task by voice"? You can change the language in the system settings. However, at this time parsing is only supported for English and Russian. Very useful feature, thank you! Could we get an option to make icons in the notification area smaller? I find the current icon size is pushing other notifications off screen.